Cruising for More Than a Week? Foreign shore excursions? Packing Questions? Concerned about Wasting Time, Money, or Sleepless Nights? Then there are the entertainment options, educational lectures, sport games, gambling, and loads of activities that could be curtailed by a lack of planning if you don’t think ahead. You don’t know what you don’t know, and Jackie will take your hand and guide you toward saving precious time and money if you read her book before your trip. 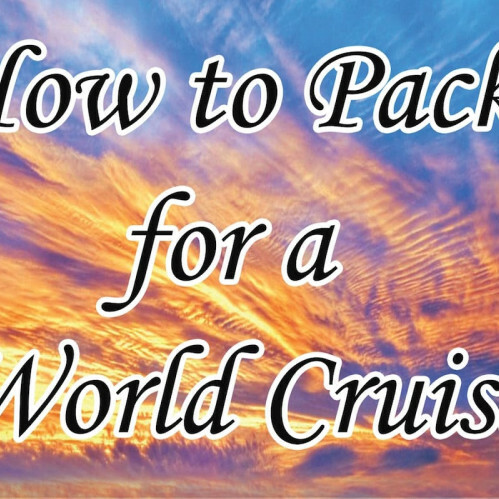 You don’t have to book a world cruise, just one longer than a week, to get the full benefits. Bon Voyage!